Chief digital officers are becoming an increasingly common fixture in Australia’s c-level executive suite. Nine months ago, pizza retailer, Domino’s, joined these ranks, appointing Michael Gillespie as its first CDO, reporting to CMO, Allan Collins, but also attaining an executive leadership position with the group. Gillespie’s mission is to ensure digital is a part of the company’s DNA and franchise network, and informs every customer interaction and engagement initiative the retailer undertakes. 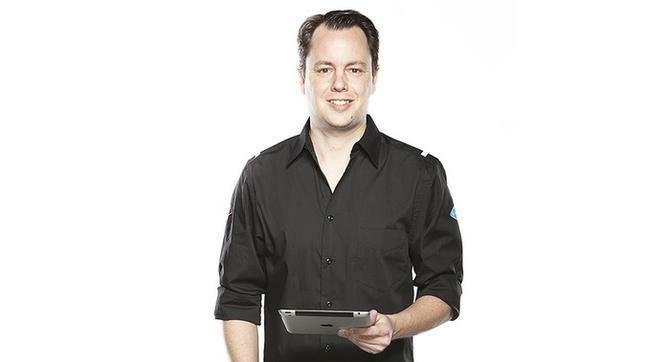 Gillespie is no stranger to digital innovation, having spent the previous five years of his time at Domino’s helping to devise and launch some of the group’s now well-known digital, mobility and social initiatives in Australia and New Zealand. In recent years, these have included the Pizza Mogul website and app, enabling consumers to create, sell and earn money from customising pizza recipes, as well as its new GPS Driver Tracker, which Gillespie describes as the biggest single innovation in Domino’s 54-year history. Over time, Gillespie said his role developed to help support the broader group, making it a natural evolution to become chief digital officer. It is now his responsibility to provide greater support to all digital teams across Domino’s global footprint, which also include France, Japan, the Netherlands and Belgium, and be a driving force for ongoing innovation as well as changes that employ digital as a core capability. “That is not just our direct customer, but also how we drive and help get digital across the whole business,” Gillespie said. “For example, GPS Driver Tracker allows our drivers to be tracked, which allows a greater level of safety for them, provides greater insight for our stores on how they’re performing, and also ensures our customers get a great experience. It finally closes the dark window between the stores, which Pizza Tracker informed them about, to when a pizza arrives on our doorstep. Gillespie said his ability to spearhead and refine digital-led initiatives is made easier by the top-down support for digital led by Domino’s CEO, Don Meij. This support extends through to the marketing function led by Collins, who is also the group’s brand director, as well as IT led by CIO counterpart, Wayne McMahon. Rather than own every aspect of delivering a digital-led initiative, Gillespie said there has to be healthy debate between the CDO, CIO and CMO around priority of direction, objectives and roadmap. “One of the things I and Allan [Collins] have tried to do, and which the business supports, is to keep a lean and focused digital team and integrate digital across all our marketing,” he said. “Wayne [McMahon] has also looked to have clear responsibilities and digital roles in his team, so we don’t have too many voices to steer the direction. From his own experience, Gillespie said it’s vital a CDO finds right the boundaries with IT and marketing, and can release control when they need to. Gillespie’s own team consists of digital employees in each international market. In addition, he has appointed an A/NZ digital marketing leader as more of strategic specialist who oversees analytics, and supports business units within marketing. There is also a project person to help steer day-to-day workloads, and some of the medium or smaller projects. “We also recently internalised search engine marketing and some of our smaller digital media acquisition activities,” Gillespie said. “During my time at Domino’s, we’ve moved over our email marketing platform and integrated that into our core marketing and promotions team, given responsibility for updating the promotions part of the website to that team, and recently social as well. “What we’re trying to do is break down the barriers where digital has a stigma of being seen as specialist. For example, social is seen as specialist, but a lot of that understanding and knowledge needs to be shared across marketing so you have a consistent message across the brand. My team is really driving that vision forward, as well as how can we support the digital team through software, better tracking through analysis, an offering specialist support. Another vital element is to build partnership, both internally and externally. “Whether it be startups in other markets, or key partners in particular industries, try to push them to help push you further,” Gillespie said. Alongside this, Domino’s is actively capturing and utilising data to support its customer-facing digital and marketing activities and has a marketing insights team that Gillespie’s team leverages. “This could be A/B tests, validations against our analytics so we’re lining up the right numbers to see success and they help us with forecasting,” he explained. As a way of explaining how Domino’s fosters digital initiatives, Gillespie pointed to its decision in 2009 to launch an iPhone app before a mobile site. As CDO, Gillespie said it’s his role to look into emerging digital technologies and trends, and to prioritise and either add in ideas, or take ideas from across the business. He maintain a core list of projects for Domino’s, build cases for them and makes recommendations to executives, then kicks those projects off. “We do a lot of shared learnings across the leadership team, and we’ve been sharing ideas about how to embrace digital technology more,” he said. If the rapid changes triggered by digital over the past five to 10 years are any indication, “the digital space is changing faster than most industries can ever move at”, Gillespie said. This is why the CDO role is important, he said. “It’s more about being a championing of digital for the broader business,” he continued. “We’re getting faster Internet speeds, more devices than ever for consumers to interact with us with, so there is a more diverse range of touchpoints even for staff, plus back-end and front-end operations. “Companies having someone there to keep their finger on the pulse, help steer direction on embracing those, and to articulate and educate the business on the best possible directions to move in, is very important. While plenty of Australian organisations clearly agree with Gillespie’s view on CDOs, there are questions as to whether the chief digital officer role is a stop gap or short-term measure to help businesses become more digitally led, or a now-permanent position on the c-suite. Gillespie said it’s hard to tell how this c-type role will evolve, or if this will become a position every business introduces, but suggested it could eventually morph into more of a ‘futurist’ role. In the shorter term, one of Gillespie’s many priorities is completing a rollout of Domino’s fully responsive online ordering system. There are also plans to extend the GPS driver tracker offer to international markets, along with a host of other digital innovations. Gillespie highlighted the fact that the GPS Driver Tracker app is not just a customer-facing experience, but touches operations, customers, and fills a dark spot “no business has been able to connect”. The idea for the tracker app came from the operations team, which has been working on better fleet management and making the delivery process more transparent. Through a partnership with Navman, Domino’s was then able to develop a great customer-facing interface and connect the dots, Gillespie said. “Another example is the original Pizza Tracker in 2006: We used back-end tracking systems, which we already had, around cooking processes, how fast teams made the pizza, and how fast it would get to the customer when it was picked up by a driver. We transferred that data into a visual experience using digital for our customers,” Gillespie said. For Gillespie, one key attribute a chief digital officer needs to be successful is a passion for and openness about embracing change. They also need to be flexible and have willingness to learn. “If you’re in a market that’s changing, you need to be willing to learn and admit that what you thought was the best solution last year may not be the best for customers now as they’re changing,” he added.